Anderson Pedestrian Identified – The Shasta County Sheriff’s Office has identified a woman who recently suffered fatal injuries in an area crash. The accident took place on Wednesday, August 22, 2018, and involved a pedestrian and passenger vehicle. The pedestrian was identified as Linda Sue Reed, a 63-year-old resident of Anderson. My condolences and sympathy are sent out to Reed’s family and loved ones as they are mourning their tragic loss. The accident took place on Highway 273 to the north of the Happy Valley Road exit south of Redding. 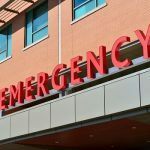 Reed had been crossing the highway on foot at about 9:45 p.m. As she was walking over the southbound lanes, an oncoming white-colored Honda Sedan struck her. Whether or not the sedan saw Reed or attempted to avoid the collision has not been made clear by authorities. California Highway Patrol (CHP) officials stated that the vehicle was driven by a 27-year-old woman from Redding who was not injured during the fatal crash. However, the driver’s name has not yet been released. CHP said they are still conducting a full investigation of possible factors related to the crash. Medical responders, who were sent to the accident site by CHP dispatch, reported that they found Reed with major injuries when they arrived at the crash scene. Medics were not able to help her, and she was declared dead before she could be put in an ambulance. While CHP is investigating the crash, officers have not stated why they suspect the accident occurred. 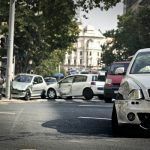 Accidents such as this one happen for many reasons and sometimes are caused by multiple factors. These factors can include driving while distracted, traffic violations, brake failure, bad roadway designs, and more. When a loved one passes away in a sudden accident, their families and dependents often don’t know what to do. 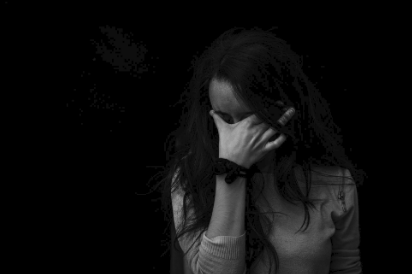 Deep feelings of grief can make it difficult to handle going about your normal daily life. Having to deal with the details of reclaiming money for your loss can seem even harder. However, those responsible for the accident are often not in a state of mourning and are quick to begin defending themselves from liability. 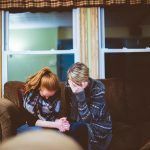 Calling a lawyer can not only help you know what you are owed for your loss but can also mean preventing liable parties from obscuring key evidence. Most attorneys will offer a free consultation where you can get important information about your case and learn about the types of damages that you can recover including loss of income, pain and suffering, loss of income, funeral costs, and more. I’m Ed Smith, an Anderson car accident lawyer. The sudden loss of a loved one is often devastating. If your family member has died in a crash, please contact me to receive free, friendly advice. I’m available at (800) 404-5400 or (530) 392-9400 and on my website. I’ve been helping the residents of Anderson and nearby locations with getting fair payments in wrongful death and personal injury cases since 1982. I belong to a forum of U.S. trial lawyers who’ve resolved a case worth over 1,000,000 dollars, the Million Dollar Advocates Forum. 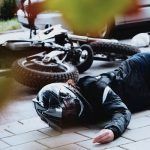 AutoAccident.com is the leading Northern CA website for information and reporting on car accidents and personal injury.